The latest in the series of profiles of current students, alumni, and staff in the School of Psychology at Surrey. University of Surrey Psychology Alumni – Where are they now? • What course did you study at Surrey and when did you graduate? I did BSc Psychology 2000-2004 and then a PhD in Psychology from 2006-2012. • Tell us about your career since leaving Surrey – where have you worked and where are you now (and what are you hoping to do in future, if you’re not already doing it)? I started my PhD full-time but then I was offered an opportunity with the British Olympic Association for them to fund my PhD on a part time basis while I also worked with them. 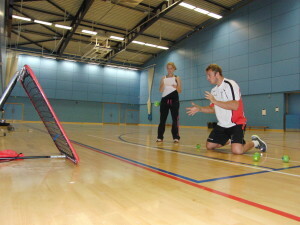 I formed my own company, Performance Vision Ltd, in 2010 and alongside that I did some part time teaching at St John’s School, Leatherhead and then as a Sports Science Officer at The University of Chichester, before taking up my current position at Southampton Solent University in 2012 as a Lecturer in Psychology. 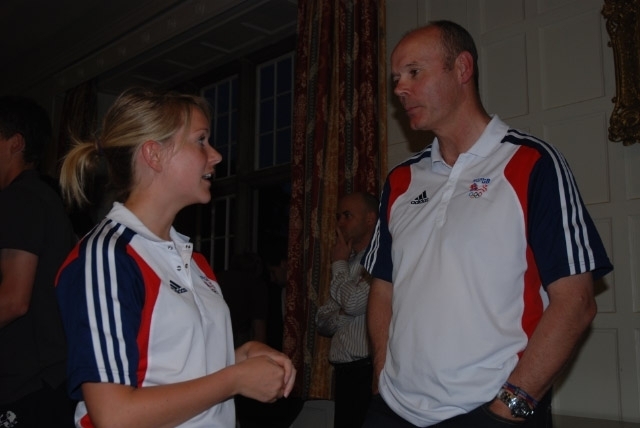 I am Director of my company Performance Vision where my day to day role is as a vision coach to elite athletes, such as GB Hockey, Harlequins RFC and British Shooting. My role as a lecturer at Southampton Solent University involves lecturing across all 3 year groups at Undergraduate level in subjects such as Biopsychology, Applied Cognitive Psychology and Psychological Inquiry. I am also undertaking my PG Cert in Higher Education alongside supervising final year dissertations. There is no typical day for me; they all involve a juggling act between preparing lectures and teaching students, my applied work with various teams and athletes as well as undertaking research to advance the knowledge of vision in sport. • What is the best aspect of what you do? I love the variety of what I do, even my applied work varies widely from team to team for example the visual demands of a ball sport such as football or hockey are hugely different from those required in sports such as shooting or bobsleigh and I have to tailor my sessions to meet the needs of the athletes. I also like the links I see between my work in the field and the research I carry out and then getting to pass this knowledge onto the students. • How did your studies at Surrey help you to get where you are now? I like the freedom I was given when choosing my final year project even though it was an area none of the lecturers had experience in, they were all supportive of my ideas and the work I wanted to carry out. This was a big factor in choosing to come back to Surrey to do my PhD. • What advice would you give to people wanting to get into this career? The area I work in is a new and developing field, I would suggest to anyone to have conviction in their own ideas. Just because something’s not being done already doesn’t mean it can’t be put into practice. Sports teams are always looking for that extra 1% to give them the advantage over their opponents and if you can think of new ways to give this to them there will always be a forward thinking coach somewhere to give you an opportunity.